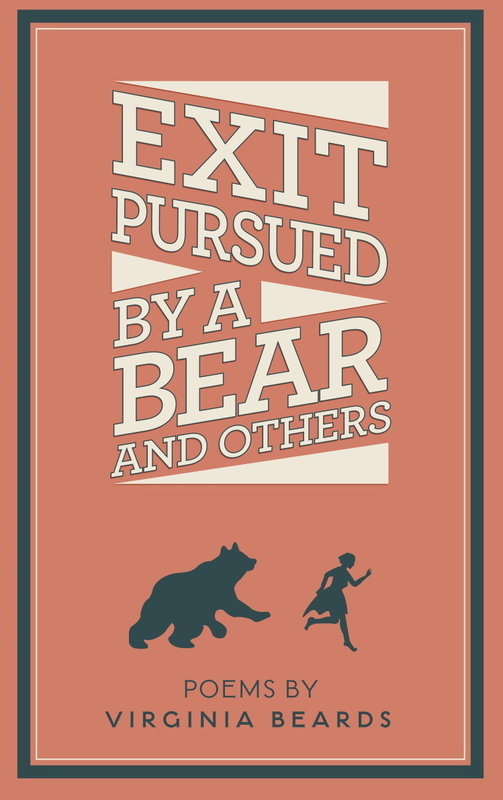 To celebrate the official launch of her poetry chapbook, Exit Pursued by a Bear and Others, Virginia Beards will be reading throughout the area during the month of April. Exit Pursued be a Bear and Others is available in paperback on Amazon now, and will also be available at the following events. In addition, a limited edition of 100 signed and numbered copies will be available at the official book launch at BookPlace on April 27th. Also – Oermead Press is giving three copies away through Goodreads. Click HERE to learn more and sign up. Wednesday, April 16, at 6:30 p.m.
Monday, April 21, at 7 p.m.
Virginia will read along with writer Jim Breslin, Matty Dalrymple and others. Saturday, April 26 10 a.m. – 3 p.m.
Sunday, April 27, 3 to 6 p.m.
Virginia will read along with Daisy Fried and other regional poets.